If you're in need of a new pair of shoelaces for your Nike SB Dunks, and these have a particular set up, you know a pair of premium Skateboard Dunk laces can be hard to find. 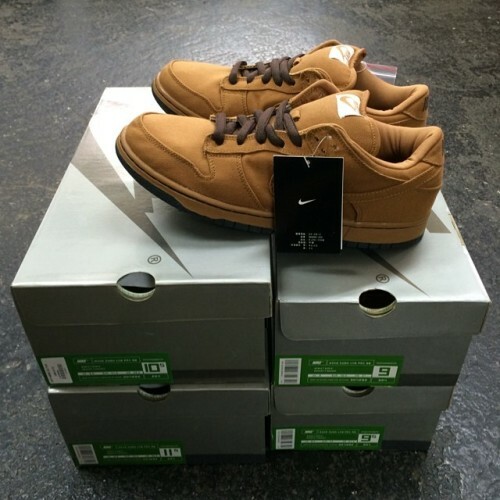 The difference between the shoelaces for regular Dunks and SB's is all in the shape. These laces look familiar? If you're into Nike SB's, then you've seen these before and probably sweat over a new pair when you wanted to change things up. While regular Dunks have a flat lace, SB Dunks have a wider oval lace that was originally conceived to accommodate the wear and tear of skateboarding. While you might not skate in your SB Dunks, you still have to keep them clean. So this is what's new in the lab: Oval SB Laces. At this point in its lifespan, Nike Skateboarding is pretty well know entity. 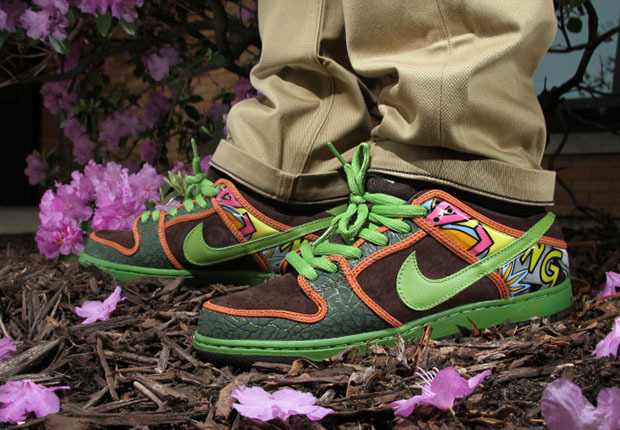 While standard Dunks have always been a classic, something about the SB Dunks made them a hit. Nike's Skateboarding line hit around 2002 when they dropped the skateboard repurposed Dunk. While the original colors were relatively simple, each drop and each colorway became a collectors item. On one hand, the SB Dunk looks a little bit tougher. The shoes themselves are beefed up to keep your ankles and heels straight when skating. The shoelaces give the silouhette some pop. And then there's the box series. Much like Eric Koston (pictured below) SB's have a long history of being dope. The color of the shoebox itself changed over a period of time. So for each time period of the SBs, let's call them 'Eras,' there was a different box. True heads will claim that the 'Silver Box Era' is the classic. This is when they had some of the best collabs with the likes of Supreme and colorways inspired by OG workwear company Carharrt. The Era to follow was the Pink Box Series, which featured the iconic Pigeon Dunk. This was a brainchild of famed designer Jeff Staple and took cues from New York's friendly neighbor flying rat—the pigeon. The wild thing about these different drops was A) they sold out like shoes do nowadays and this was pre-Internet era shopping. And B) people are still making custom sneakers based on these different Box Series 10+ years later. The thing with Dunks is that they make a great canvas. They have a fairly simple silhouette compared to some things that are dropping nowadays, but they're still a Nike classic. Like our guy Dank for example, he has a full clip of SB greatest hits and turned them into his own "What The" custom sneaker. So if you're bored with whatever Box Series is in play right now, or you missed the drop of the De La Souls (and don't feel like standing on a bunch of pink flowers)—While the initial purpose for SB Dunks is and was skateboarding, the shoe looks so classic that it's no surprise the different Eras became more and more exclusive. make your own. Be sure to pick up the right shoelaces for the sneaker. If you don't, your custom joints are going to look off. And did we mention that these laces were also made for Foamposites? No? Next time then.